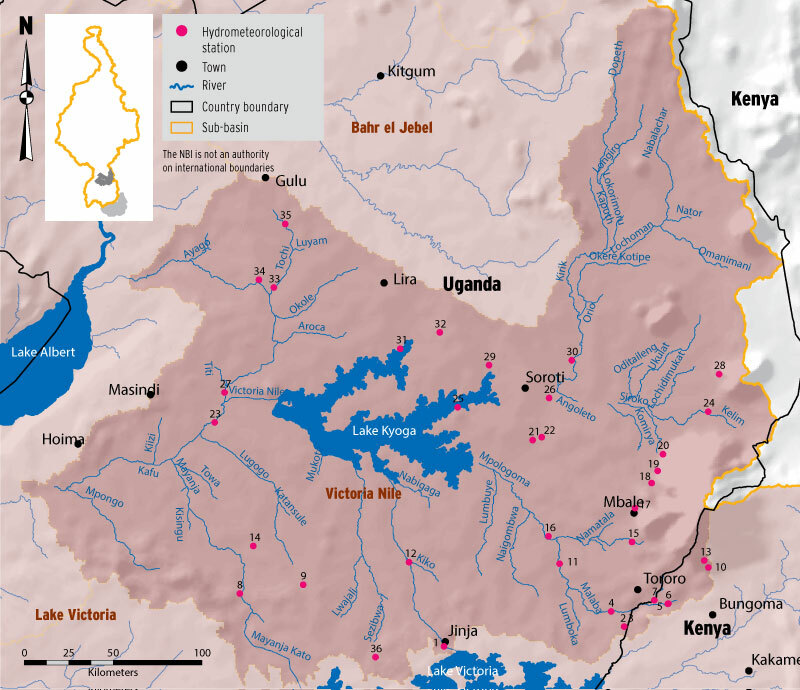 The largest part of the Victoria Nile sub-basin lies in Uganda with a small part in Kenya and is the drained by the Victoria Nile once it leaves the Lake Victoria. The sub-basin has substantial hydropower potential. The average annual flow of Victoria Nile at Jinja station in Uganda is approximately 32 x 109 m3. 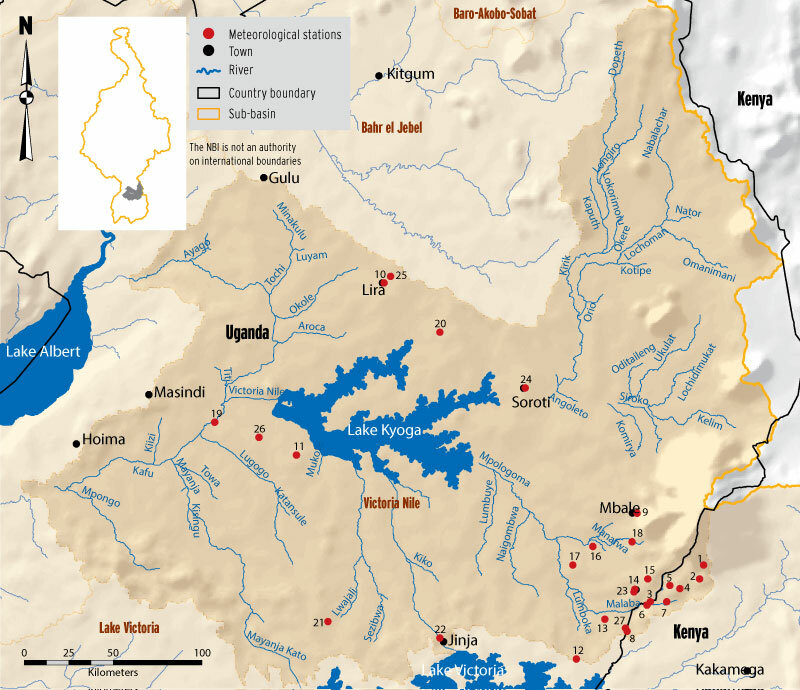 This is a sub-basin with relatively good monitoring infrastructure in the Nile Basin. There are 48 meteorological stations in the sub-basin; distributed in Kenya (6) and Uganda (42).11 stations are full met stations. The distribution of the stations is shown in the map below. 25 Lira Ngetta AgroMet Station. There are 53 hydrometric stations in the sub-basin; 6 in Kenya and 47 in Uganda. The map below shows the location of the station. The table adjacent to the map provides the list of hydrometric stations that were active at the time of the survey in 2014. Enhancing reservoir operation of a cascade of hydropower dams (existing and planned ones) is one of the priority areas in the sub-basin. This requires enhanced real-time data collection and transmission system linked with appropriately built reservoir management system.